Dermestid beetles are used by universities and museums to prepare skulls and other bones for display. 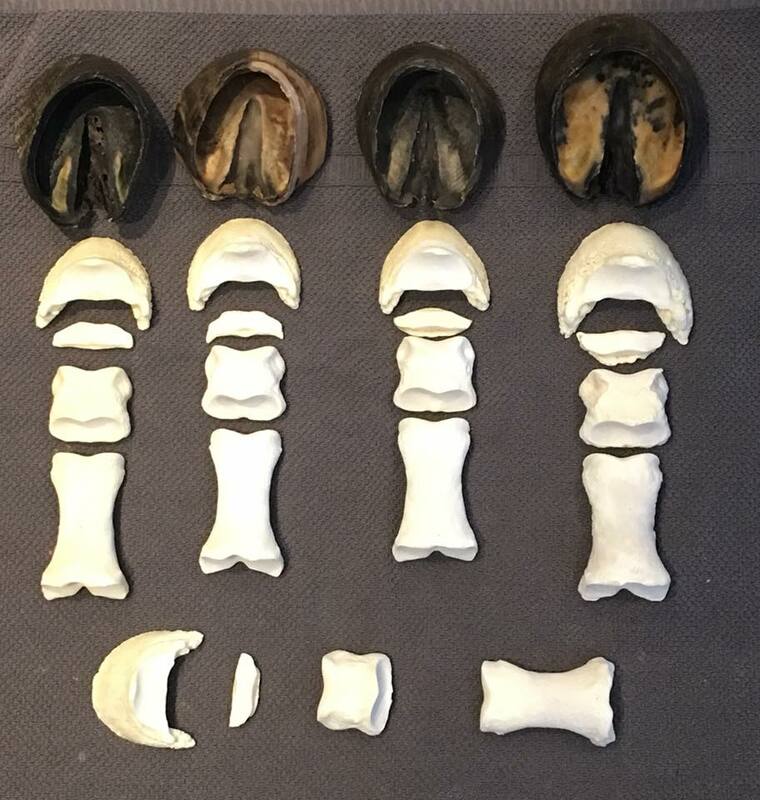 Boiling of skulls is messy, smelly and can damage delicate bone structures such as nasal membranes, loosen suture lines, as well as impart an oily film to the bone. Boiling also shrinks skulls! Preparation with flesh eating beetles avoids these pitfalls. These beetles are easy to maintain and multiply, by following simple procedures. This is how we get all our awesome specimens that aid in the teaching of equine soundness. 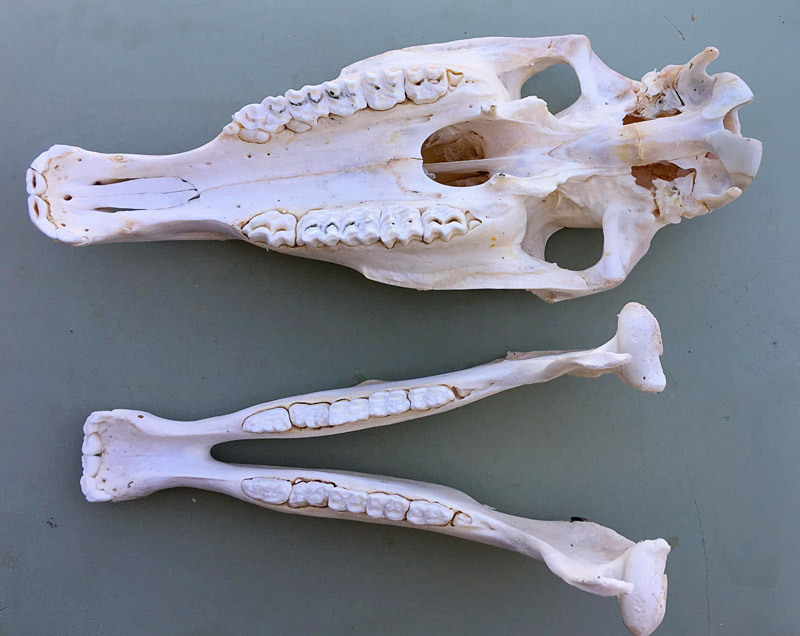 We will also process other skulls like deer, bear, wolf, coyote, fox, etc. 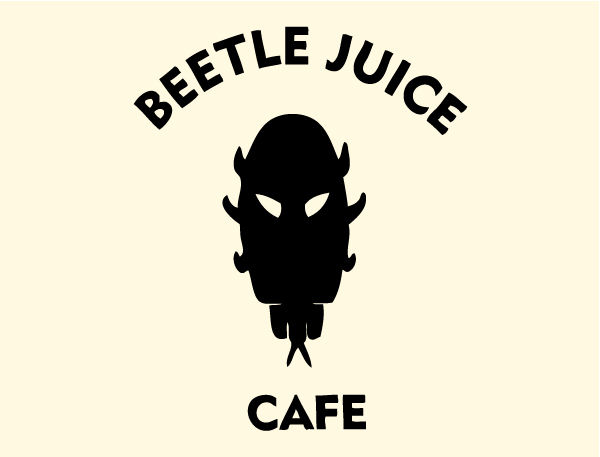 Any animal cadaver you bring can be put into the Beetlejuice Cafe. We also have beetles for sale for those who want to start their own maceration operation either for business or hobby purposes. Contact us for more details on custom work and pricing. 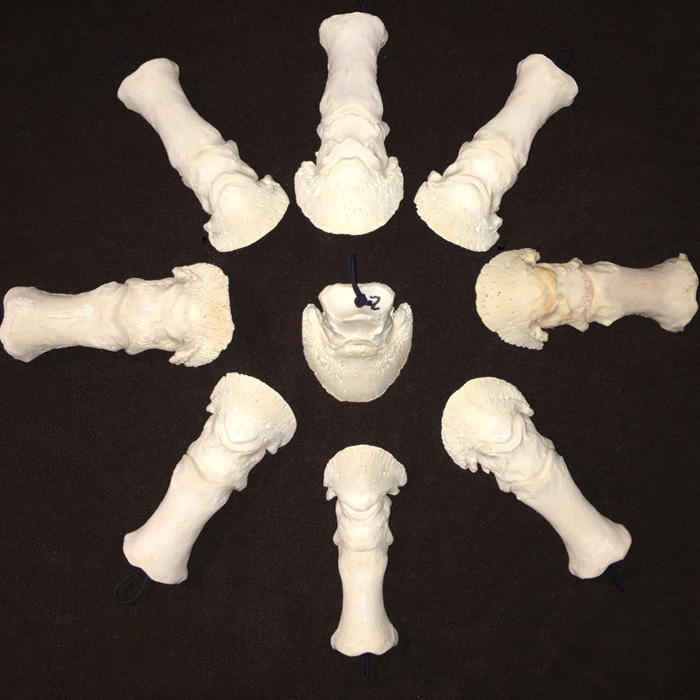 Thanks to the beetles at Beetlejuice Cafe, we are able turn the cadaver legs/feet that our participants practice on in our clinics, into beautiful clean specimens.